The following image is the correct version of the St Helena flag, depicting the official St Helena Badge of Arms. 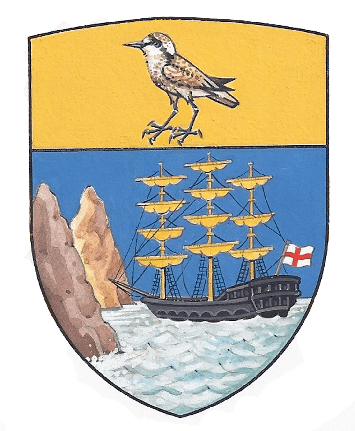 Granted by the College of Arms in 1995, the St Helena Badge of Arms can be used on souvenirs, other products, websites and for promoting St Helena generally. However it has become apparent over the years that the image of the Wirebird on the Badge of Arms has become distorted through copying and re-designing. 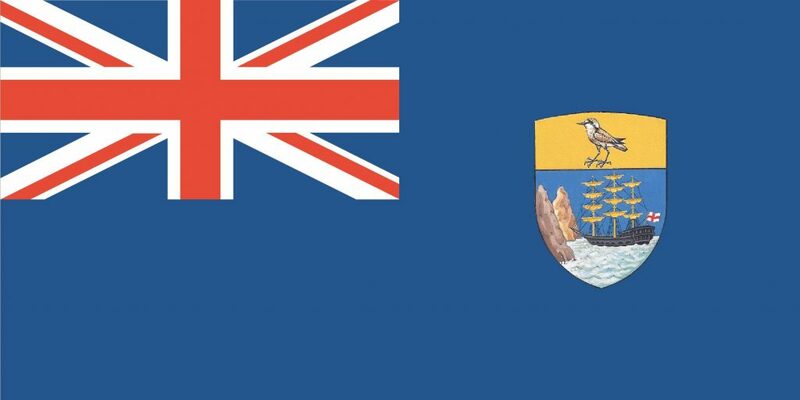 Organisations or outlets that order St Helena flags or souvenirs independently are therefore reminded to be aware of the correct Badge of Arms as shown in the St Helena flag below. Click for copies of the correct versions of the St Helena Flag and Badge of Arms. For ordering purposes, please note the flag in front and reverse side view here.